Facebook have recently introduced Robots ( Chatbots ) that allow businesses to use artificial intelligence. These Robots are not only capable of chatting to any user on your behalf but also can include images, links and call to action buttons hence letting the users make a restaurant booking, make an e-commerce order and more. Even though, Facebook currently doesn’t allow these Robots to ask for payments directly through credit cards but still there are many things at stake. 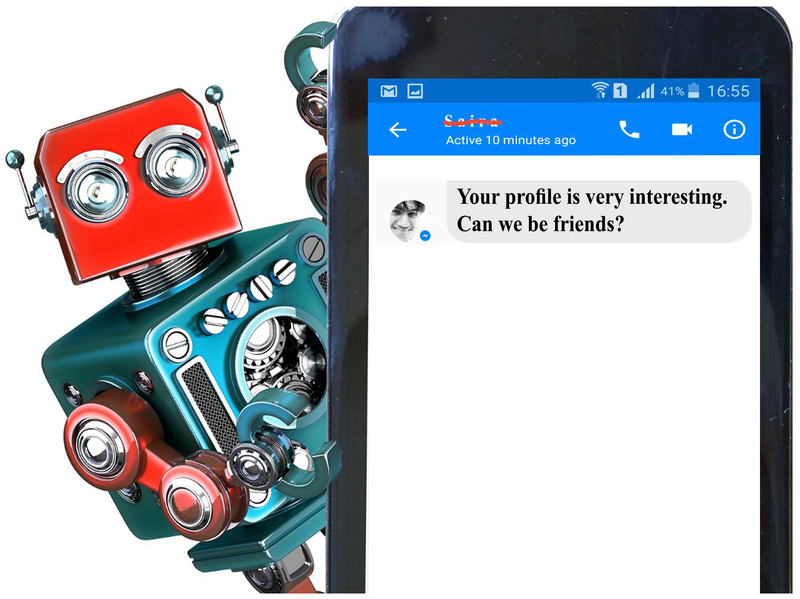 There are chatbots which are programmed to scan social network profiles for personal information then begin conversations with the intention of fooling people into disclosing their personal or financial details. We have been watching and waiting for the moment when machines become intelligent enough to pass humans - but it seems to have already happened right under our noses. Remember that whatever you tell in a chat — you can’t take it back or delete it later so don’t say anything you wouldn’t want the public to know. This also includes your full name, your address, phone number of other personal information.